What do you get for your ticket price, and what facilities are available? Camping space for approximately 100 tents. A word about rubbish – we are able to offer recycling facilities but we ask you to take your land-fill rubbish off site when you leave. The dump is very close and each camper is given a bin liner on arrival. 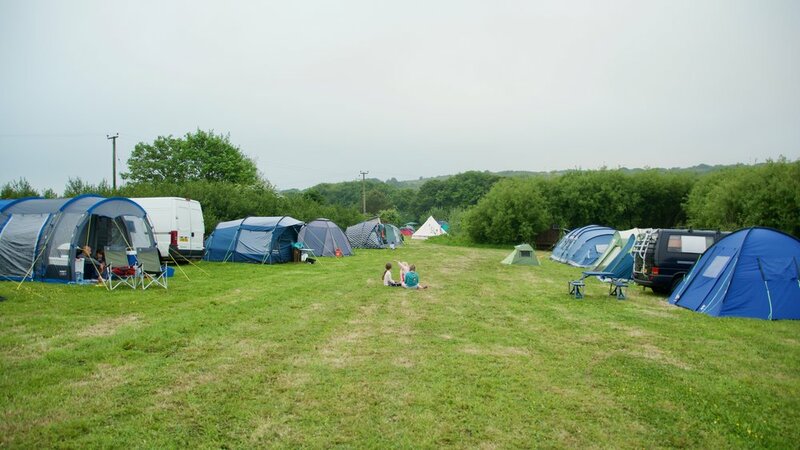 We always advise festival goers to bring what they need to self-cater at Surya, but we also have a simple vegetarian/vegan cafe, Babajis, offering breakfast from eight o’clock, a light lunch from 12 – 2pm and dinner served at about 6 – 6.30pm. Hot drinks and cakes are also available. Brownies and chai are a favourite and we always have vegan alternatives. Where possible the cafe uses fruit and veg from Chyan’s own community allotments. At Surya Yoga Camp we offer a wide and varied programme of activities for children tailored to different age groups and both genders. All workshops are offered by experienced individuals with a current DBS check, or a DBS checked adult will also be present. We do not provide a crèche. The insurance poses too many problems. Children above the age of 5 can be left at any of the events providing they are content to be there. Children under 5 will need to be accompanied by an adult, unless the workshop leader has agreed otherwise. The site is a wonderful playground, with secret spaces, safe shallow pools in the stream and woodland, but some younger children will need careful supervision, particularly around the fire and the water. Please note children are welcome in all of the classes providing that they are not disruptive.